So what exactly is the Italia? 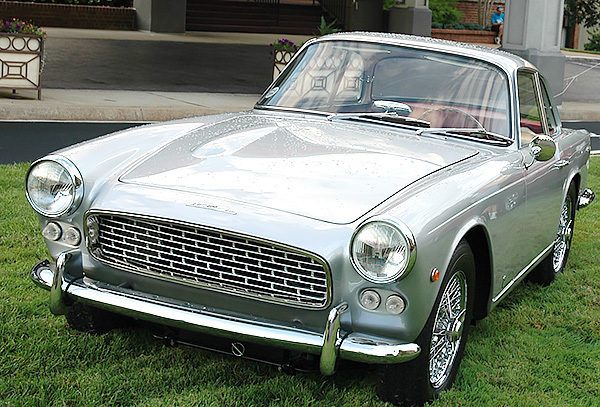 The Italia 2000 GT (to call it by its full name) was produced over the period 1959 to 1963. Produced is a relative term when it comes to Italias, since something less than 300 were ever made. “Serious” marketing efforts in the U.S. included each original owner having to sign a contract that included among its clauses the fact that no body panels or trim pieces were available as spares! Couple that fact with the $5000 list price, which was perilously close to that of an E-type Jag or fuelie Corvette, and you can imagine that the average U.S. sports car buyer didn’t exactly beat down the doors to purchase one. Some cars sat on dealer’s lots for over two years before being discounted and eventually purchased. Italias were produced by a combination of Standard-Triumph (rolling, engined chassis and components), and Vignale (body manufacture). 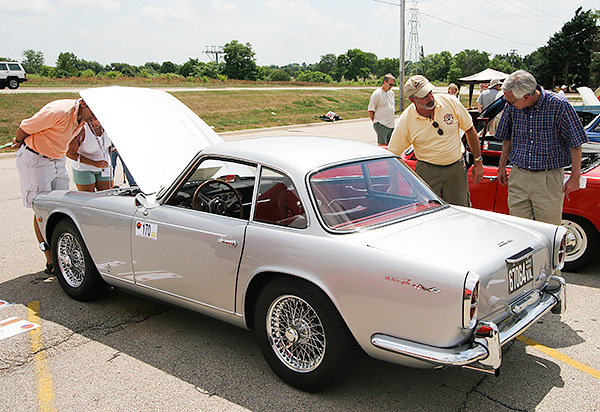 The Italia was produced with the blessing of Standard-Triumph, but was not an official Triumph model. There were 297 TR-3A/B chassis delivered to Italy to be made into Italias. 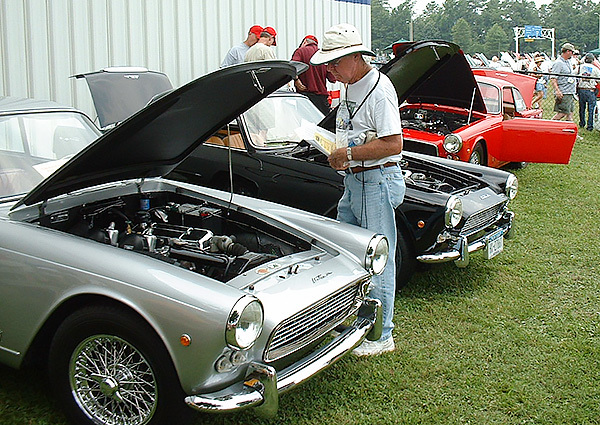 One of the first chassis numbers is TS51639LCO – this is the vehicle Standard-Triumph tested in early 1960. The last 30 cars were made on TSF501 through TSF530, the last 30 TR-3B first series chassis. All cars had both the TR-3A/B commission plate and a “Vignale number”; they were NOT kept in chassis order when bodied. Numerous changes were made car-to-car! You can see the TR-3A commission plate in this underhood picture of a showroom-condition Italia. In addition to the items listed in the general Triumph Buyers Guide , there are a number of specific items of interest on the Italia. You can see the crossed flags in the picture. This is one of the later cars, as evidenced by the exterior fuel filler. This created an interesting gas tank, as the spare tire was now recessed into the tank. The tank looks something like a square donut! Early Italias, those with polished aluminum taillight surrounds, use Nash Metropolitan tailight lenses. Front parking lights are available from a British supplier for about $50 each. Headlamp rims are surprisingly inexpensive at about $25 each. Late Italia license plate lamps are from an early Alfa Romeo. Vignale badges, surprisingly enough, are readily available, although they cost about $75 each. Crossed flag badges are NOT identical to the ones on Heralds/Vitesses–they are larger. TR-4 trunk weatherstripping is an acceptable substitute for the original. Grille material is the same as that on a Maserati 3500. Door striker plates come from a ’56-’59 Alfa Romeo Guilietta. Side marker lights are from 1960’s Fiats. Ash trays are identical to those from period Ferraris. Many trim items are rumored to be the same as those on Lancia Appia convertibles, which were produced at the same time as Italias by Vignale. However, even fewer of these cars were produced than Italias! 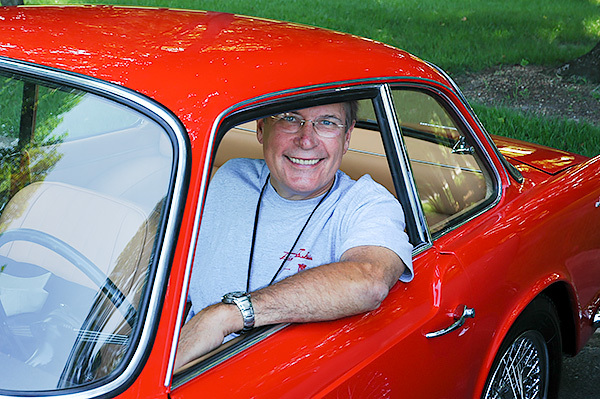 As more and more Italias are restored, many of the owners are banding together to have parts reproduced. If you are interested in participating, please contact the current VTR Italia Consultant.